A traditional woodworking brace, is used to bore holes from ¼” in diameter and up in increments of 1/16” to 1 ½” which are often too big for a hand drill. They can create cleaner work than power tool versions because they operate by a screw thread and cutting edges instead of power and speed. The cutting edges can be newly sharpened with a small file when dull. 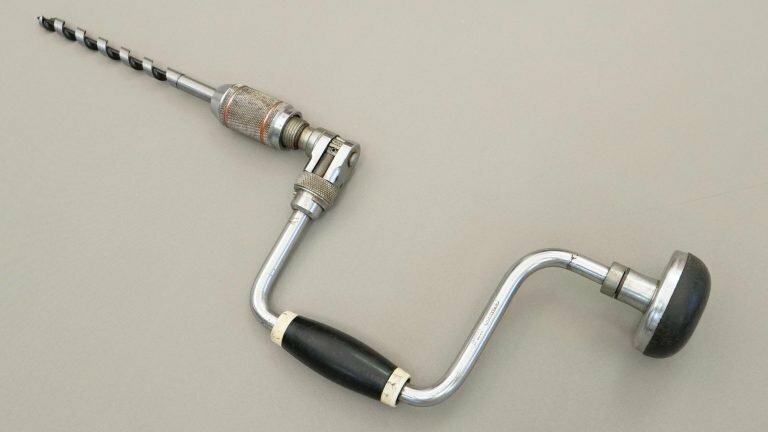 They bore holes more slowly than electric drills and the spiral bits are designed with a screw-type tip (pointed snail) that pulls the bit into the wood as the handle of the brace is rotated. This makes them a safer alternative to high-speed high-powered drills. Some braces have a ratchet which allows you to use the tool where space is limited. 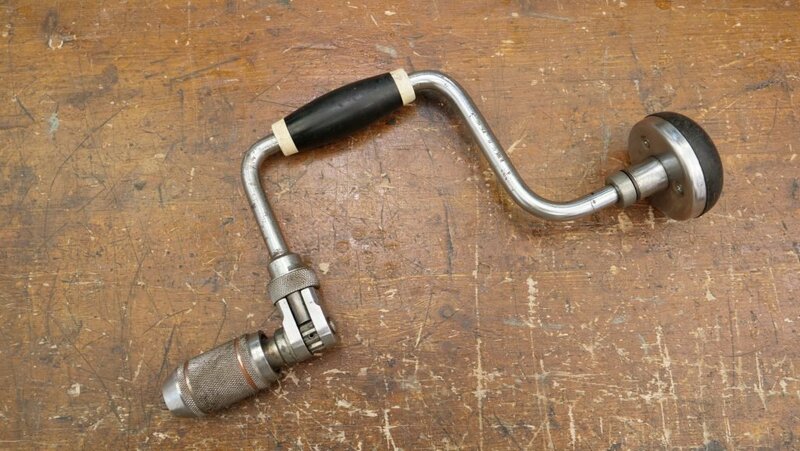 For example, if you were boring a hole near a wall and could not turn the handle the full circle, you could engage the ratchet and just use the half radius to continue boring. 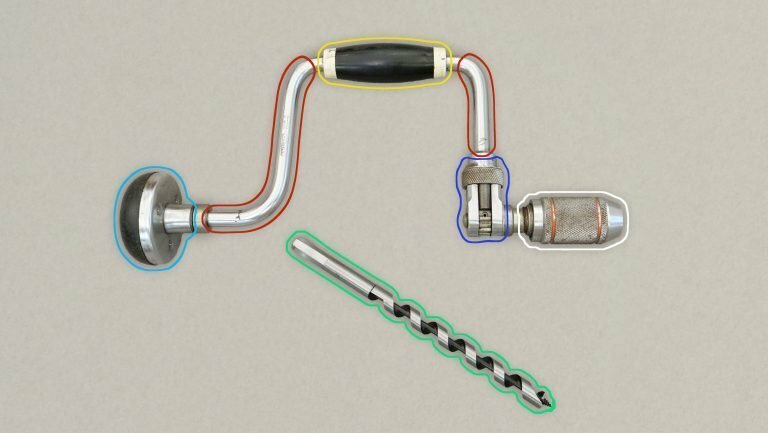 You can switch the direction of cut and withdraw the bit using the ratchet too. This give you more versatility and enable you to still use the brace in restricted areas. The brace performs the same tasks as an electric drill, mainly to bore holes in wood. The bits can be interchanged to create different sized holes. Unlike the electric drill, the brace is fully dependent on human power, this is an advantage as it always runs on your renewable energy. Chuck- The part of the brace which grips and holds the bit and can be tightened or loosened. Spurs- The sharp edges on a drill bit to cut the circumference of the hole, there can be one or two. Nice post. What would be even more useful would be a buying guide. Particularly older makes and models. We have an upcoming guide on ‘Buying a Brace’ which includes what to look out for when buying secondhand or new, and also how much you can expect to pay.